Replace your felt or printout table covers with modular, artificial grass jigsaw tiles. Each tile is 31cm x 31cm (incl. 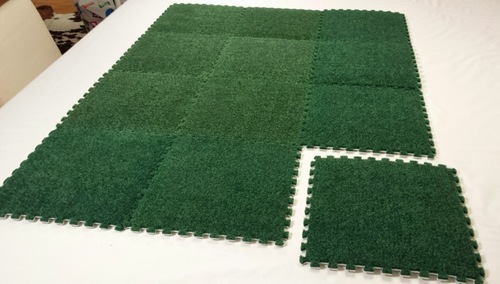 jigsaw edges), thus creating a 4'x4' (120cm x 120cm) Modular Grass Battlefield, suitable for any miniature wargames, acting as a base to place more terrain pieces onto. Lightweight, and extremely easy to transfer and store: when disassembled, the whole "board" needs only a 31x31x16 cm (1'x1'x0.5') square space, easily fitting into any cupboard or self.